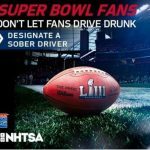 With the Super Bowl around the corner, Attorney General Peter F. Neronha is advising football fans to use caution when purchasing tickets to the game or booking travel. 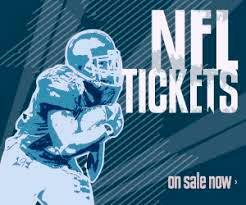 When purchasing tickets, try to buy tickets directly from the NFL or an NFL-approved ticket broker. If you do go through a ticket broker or agency, be sure to check that the ticket broker or agency are legitimate. A good resource is the National Association of Ticket Brokers (www.natb.org), which provides a comprehensive list of members and helpful tips on ticket buying. Also check with the Better Business Bureau (www.bbb.org) to find out if any complaints have been filed against the business. Always pay by credit card, which offers protection if you do not receive the tickets or if they turn out to be fake. If ordering online, be sure the website is secure. Do not pay cash. A major red flag is if you are asked to wire money or are directed to another site to make payment. Ask the seller to email or fax a copy of the actual ticket prior to purchasing. Verify that the ticket includes the correct date, time, location and seating details, and that the seating information matches with Atlanta’s Mercedes-Benz Stadium (where the game is being played). 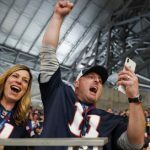 It is against the law in Rhode Island to overinflate the price of tickets. Per Rhode Island General Laws §55-22-6, ticket sellers may not charge a service fee of over $3.00 or 10 percent (whichever is greater) of the price printed on the ticket. 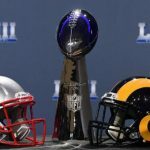 If you are traveling to Atlanta for the Super Bowl and looking to book a hotel room, check with the Better Business Bureau for a list of accredited hotels. Use common sense. If something sounds too good to be true, it most likely is. 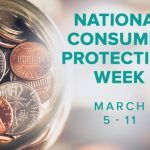 If you believe you have been the victim of a scam, please call our Consumer Protection Unit at (401) 274-4400 or e-mail consumers@riag.ri.gov.